It’s getting sunnier, plus we’re now on Daylight Savings Time. That’s your cue to make the most of every day with these life-affirming experiences. Newsflash! 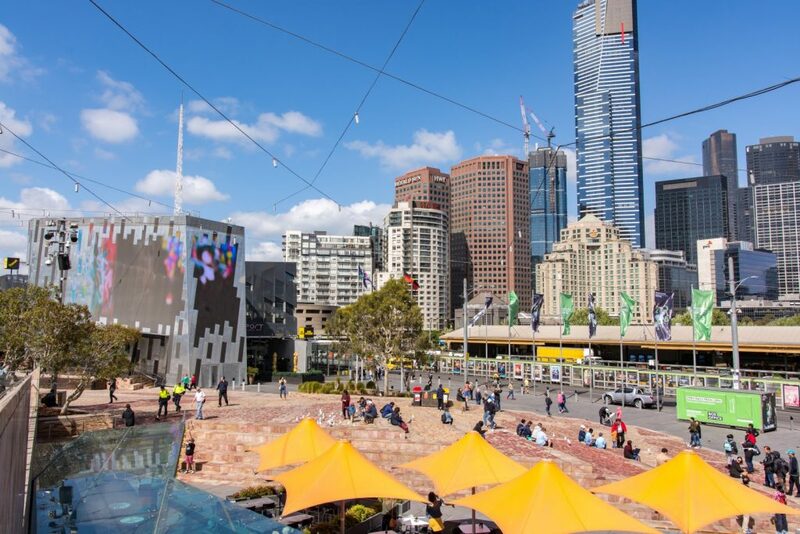 Federation Square’s new giant screen is now on. A 5K-resolution wall of interactive LED panels, it will make big events even bigger. There’s always something to watch though, so kick back on one of the orange chairs in the shade. Then take a guided tour of Melbourne’s modern piazza to learn about its striking architecture, engineering and history. Don’t go yet! Duck into the Ian Potter Centre for a look at some beautiful Australian art. Then get a treat at Popstic Ice Cream, like the watermelon, mint and Four Pillars gin icy pole. You can treat your skin too – one of Aesop’s Melbourne stores is steps away in Flinders Lane. Now’s the time to invest in their light, gorgeously scented SPF50 moisturising sunscreen. Hooray! 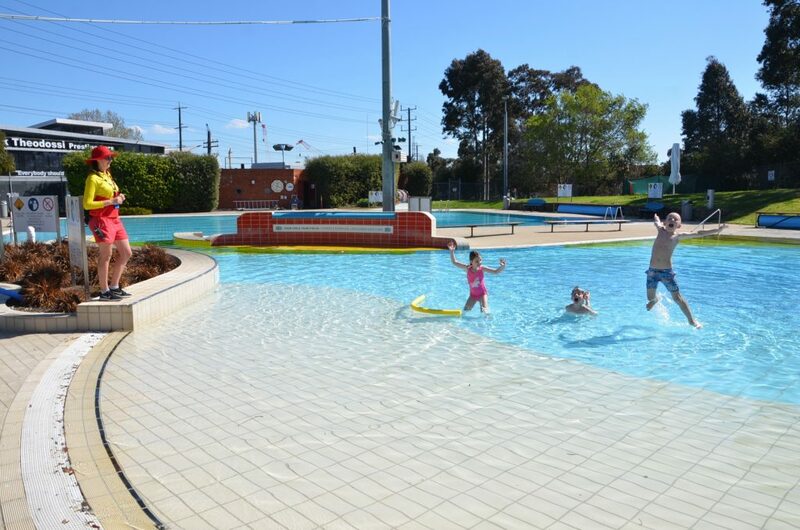 The outdoor pools at the North Melbourne Recreation Centre and Carlton Baths are open again for another season. They’re 25 metres in length and have toddler pools, so are ideal for everything from swimming laps to playtime. Plus they’re gently heated so there’s no cold-water shock on hot days or putting off a dip if it’s a little cool. Can’t swim? Well now is the time to learn – these pools offer lessons for kid and adults. Dogs are never happier than when they can run free – chasing balls, rolling in the grass and wagging tails at friends. See them having the time of their lives at the off-leash dog areas at Yarra Park, Princes Park or Clayton Reserve. Their joy is infectious! Or visit Melbourne Zoo’s elephants in their Asian-inspired village, where they eat, drink and play. 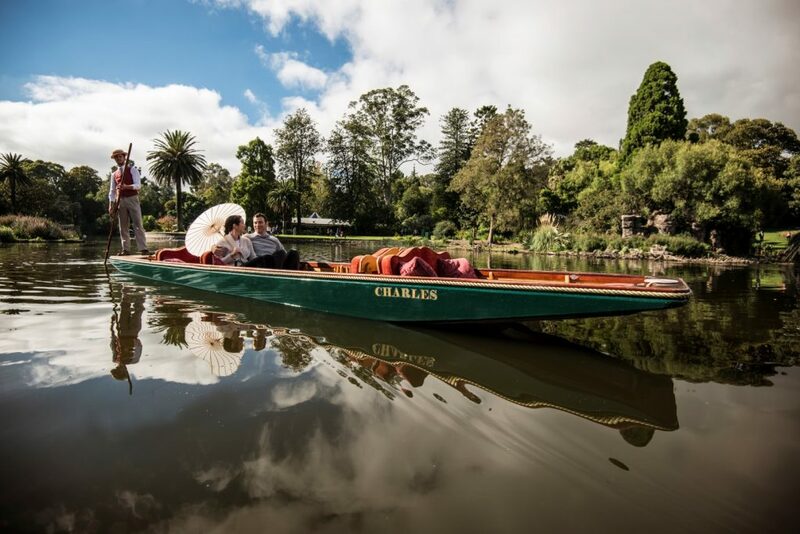 Neither hot or cold, it’s the perfect time of year to try Punting on the Lake in Melbourne’s most beautiful garden. Let those worries float away while your professional punter does the hard work: guiding the traditional wooden boat along with a pole. Learn a little about the gardens’ history, plants and animals while getting a fresh perspective from the water. Or just soak up the romance of it all. Linger longer with these other ways to enjoy spring in the Royal Botanic Gardens. After floating and wandering around the Royal Botanic Gardens, indulge in a special breakfast, lunch or coffee and cake across the street. 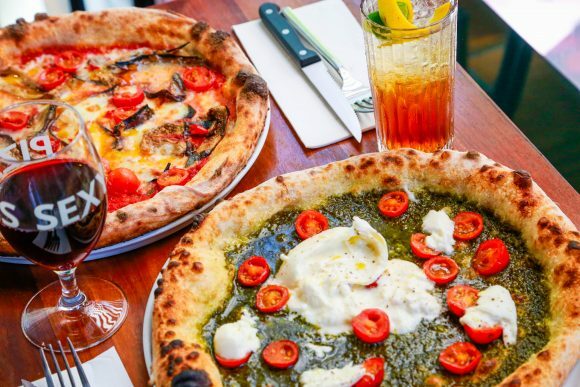 Here are seven foodie gems to discover on Domain Road, from the legendary Baker D. Chirico to Entrecote’s Parisian chic. 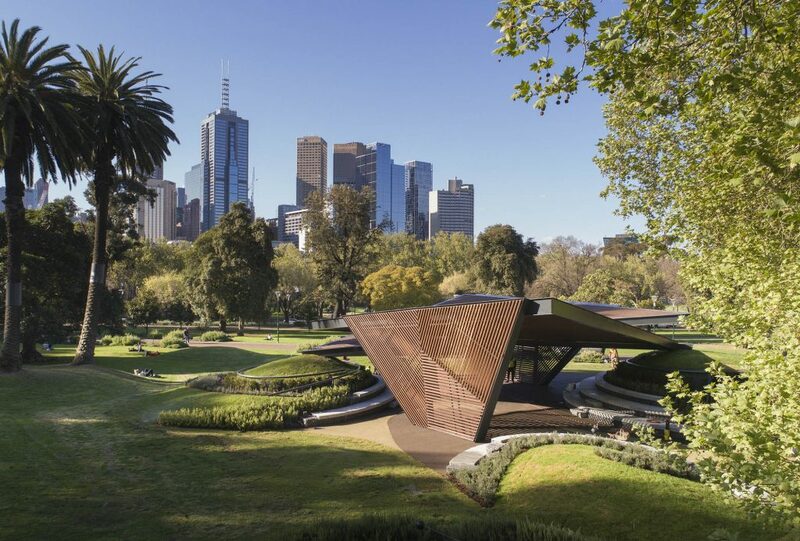 The all-new MPavilion, designed by Barcelona architect Carme Pinós, is a calm indoor-outdoor space in the Queen Victoria Gardens. What better place for guided morning meditations, which are held here every Wednesday. Start the day with a clear, relaxed mind, and the nice feeling of not having spent a penny – these sessions are free! Greek restaurant Melina on the Rooftop has started serving breakfast, so you can now enjoy the spectacular (but weather-protected) views from 7am. Eggs are the menu’s morning stars, all served with a Hellenic twist – think lamb, haloumi, feta and pita bread. Start your day the Mediterranean way, but with a magical Melbourne panorama. 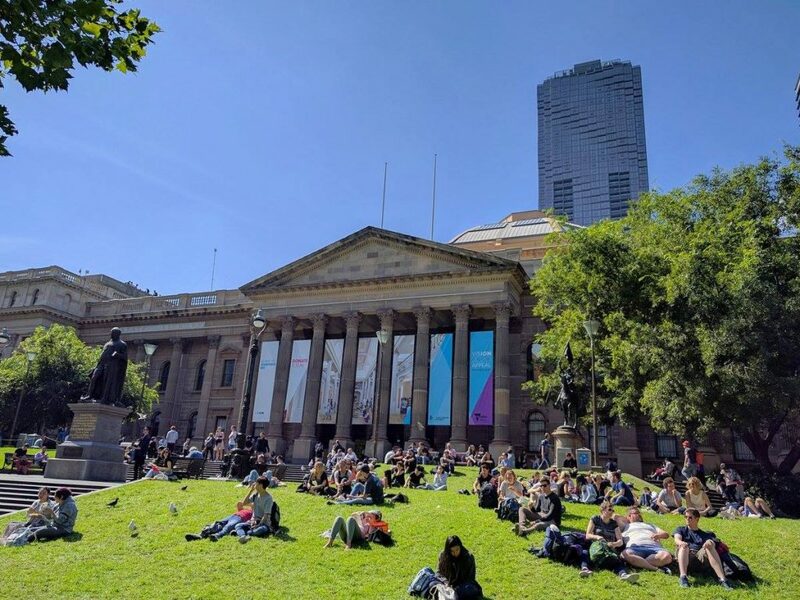 Get your daily dose of vitamin D on the grass outside the State Library of Victoria’s Swanston Street entrance. It’s a great place to recharge body and soul for free during your lunch break or between city appointments. Add a coffee from the library’s Mr Tulk Cafe to your downtime indulgence. Yummy food doesn’t have to be loaded with fat, sugar or salt. Take a stroll along St Kilda Road to Nutrition Bar and get yourself a dragon fruit bowl. It’s vegan, gluten-free and packed with antioxidants. Why not get a picnic’s worth of delicious goodness, like raw Pad Thai, peanut butter smoothies and chia pudding? Fawkner Park is just a short walk away. Feel more like some hearty Italian food? Local favourite Cafe Rosco’s nearby too so you can pick-up some pizza to go. South Yarra has a new yoga studio, ideally located opposite the Royal Botanic Gardens. Best of all, some of Fauna Yoga’s classes are held on their rooftop terrace (weather dependant), overlooking all this nature, plus the city skyline. From mellow slow flows to energised vinyasa flows, every session is better with fresh air, spring sunshine and birdsong.